Homophones got your second grader down? This colorful worksheet will open her eyes to some common grammar errors, and improve her spelling ability in the process! 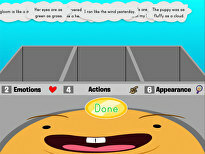 Using the word bank, she'll pick the correct set of homophones from the list, and incorporate them into each sentence.